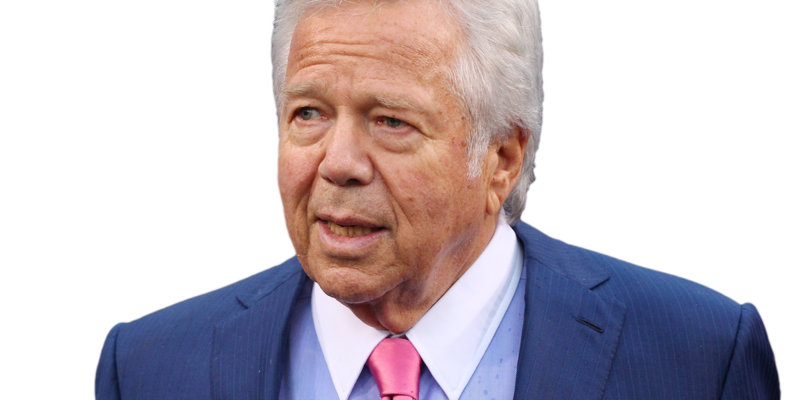 The Wall Street Journal is reporting that prosecutors are offering to drop solicitation charges against Robert Kraft and several other men but the men must admit they would have been proven guilty at trial. In February Palm Beach County State Attorney Dave Aronberg announced his office was charging New England Patriots owner Robert Kraft and 24 other men with soliciting another to commit prostitution in relation to filing packets received from the Jupiter Police Department. Jupiter police reports indicate Kraft visited the Orchids of Asia Day Spa in Jupiter on Jan. 19 and 20. On the 19th, the transaction lasted approximately forty minutes and on the 20th, about 14 minutes. Kraft has entered a plea of not guilty and has requested a non-jury trial. His arraignment is scheduled for 9 a.m Thursday March 28, 2019. He is not expected to be in court. Palm Beach County prosecutors declined to comment, the Wall Street Journal said. According to a FOX 29 source with knowledge of the offer, the State Attorney’s Office issued a blanket deferred prosecution agreement Monday morning. The offer was to pay a $5,000 civil penalty, $200 cost towards the prosecution, take a prostitution awareness course that’s 5 hours long, 100 hours community service, and screening of STDs. All who accept would have had to appear at the same time to accept the DPA. The source said that this offer seemed “specifically, uniquely framed to gather all of these gentleman in one court, at the same time, same location, to maximize publicity” in the case. After the Journal posted the story on its website State Attorney Dave Aronberg tweeted a correction to the article.